Most people have seen a sign indicating that a home is protected by ADT. With over 6 million customers, ADT is the largest home security provider in the United States. Under its money-back guarantee, if after six months you’re not satisfied, ADT will refund not only your monitoring fees but also all installation fees. 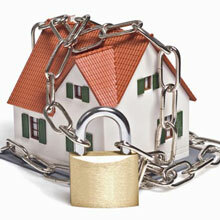 ADT provides homeowners with a free home security evaluation, no strings attached. 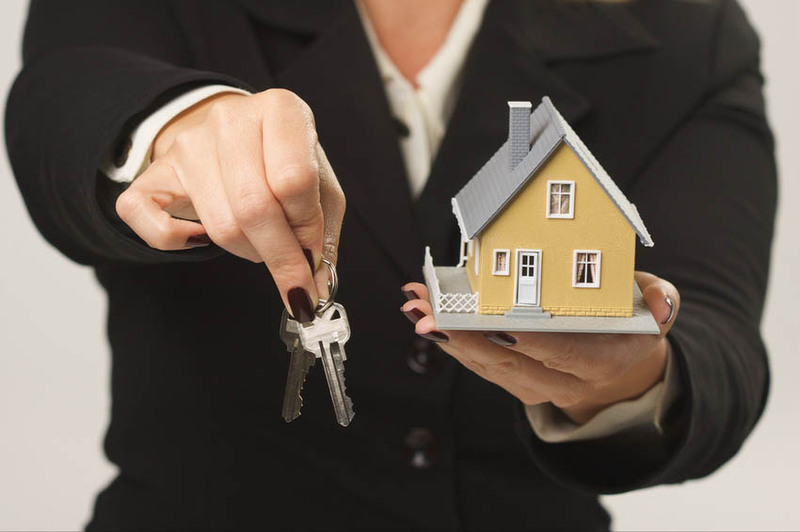 Specially trained consultants carefully review the inside and outside of your house, looking for security concerns and easy access points. If you decide you want to purchase an ADT package, the technician can educate you on the options available and determine the best fit. This service is not offered by most companies and can teach good habits for everyone in the family to help keep the home secure. ADT’s Basic Security Plan costs $36.99 a month and includes the standard 24/7 monitoring using a control panel in the home. This panel also includes a panic button that lets you call for help in the case of an intruder, as well as a one-touch button to indicate a fire emergency in the home. 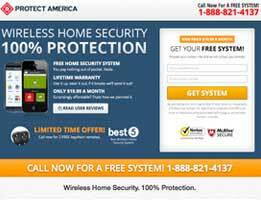 The Basic Wireless Package ($44.99) and ADT Pulse Remote Service With Video ($57.99) are also available. The ADT Pulse package can include fire, smoke and carbon monoxide monitoring, water detection sensors, and the option to monitor the temperature inside, allowing you to avert trouble with frozen pipes while you’re away, for example. These plans allow a cellular connection to keep the home secure when the landline or Internet connection is unavailable. 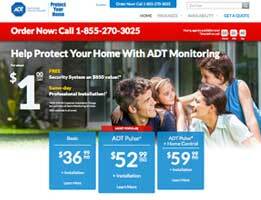 For a small equipment fee of $65, ADT offers the Home Health Security companion service. It includes a base unit with a button and a portable button pendant or wristband that will work anywhere within 300 feet of the unit. The button creates a two-way intercom with an ADT representative who can contact emergency personnel. Many home health alert systems do not allow for communication between the monitoring company and the user, amounting simply to a panic button. The option to communicate ensures that the monitor can obtain the information necessary to providing the most-needed assistance. As the largest home security company in the United States, ADT certainly has the experience and knowledge to provide the plan that best works for each homeowner. After a free home security evaluation, it may be easier to decide if the Basic Home Security package, the ADT Pulse Remote Service With Digital Access package or the ADT Pulse Remote Service With Remote Secure Video package is the best fit for you. Either way we think you will be happy with ADT. Thank you for reading our ADT Security reviews. My mom recently felt ill and decided to lay down. Luckily I went to check on her because she was very sick just a short time later. After her hospital stay, we wanted to move her to an assisted living apartment insisting that she needed access to a panic button or at least a way to contact help if she needs it. ADT to the rescue! We installed an ADT system and both feel so happy that we found a compromise. Mom has her house still and her panic/help button and I can rest easier knowing there are an extra set of “eyes” on my sweet mom. The last time I got an alarm system, I vowed I would never do it again because of the complete destruction of my home! But sure enough, my wife convinced me that after 3 kids and 3 dogs we needed an alarm system. ADT installed a wireless system throughout our house about 48 hours after I contacted them. The door and window sensors will not only keep intruders out, but they will keep my three sons in! My two teenagers are thrilled! The wireless remotes make it easy to arm and disarm and there are no ugly wires or holes in my walls. Plus my wife is happy, which is worth its weight in gold! I wanted an alarm system that would be easy for my 12 and 14-year-old sons to use when they got home from school. ADT allows me to know they are home safely and allows me to monitor them remotely using our video system. Do not get me wrong, it is not in place of parental supervision, but if I need to be home a little later than usual I can know what they are up to. The ADT system is easy to use and the boys can easily make it into the house and disarm the system. Thank you ADT! When my father died a few years ago, I was worried about my mom living alone. She is perfectly fine health wise and only 55 years old so moving was not necessary. I just did not like thinking about her being home alone all the time, especially at night. She did not like in the best area of town and I felt like any day I could get a call that she was the victim of a violent crime. I began by looking and researching companies on the Internet. I had always heard the name ADT so I wasn’t surprised when the information I read reinforced that ADT was a good company. Reviews mainly commented on the ease of use as well as the amount of features included in the packages. Others talked about the easy installation, wireless without having to cut big holes in the wall. My mom was most worried about her house being damaged by the system, even more so than the possibility of being robbed. Geez! After my research, I had lunch with a couple of friends and I asked them if anyone had an alarm system. Three of the four said they did or had had one before and every single person had used ADT. The fact that everyone spoke highly of their experience as well as their systems, sealed the deal that I needed to contact ADT and get a system installed for my mom. I called ADT to make an appointment and they said they could come out the next day. When does that happen anymore? Great customer service started my experience off right. The system is very easy to use and my mom had no problem learning how to use it. The installer was patient and took the time to answer any questions we had about the alarm and other features. She loved that she had a wireless remote that she could attach to her keys to deactivate the system remotely as she entered the house. I felt better knowing she was protected. We are very happy with our decision to go with ADT and have already recommended it to multiple friends and other family members. In fact, her next door neighbor is now protected by a system from ADT also. The more time you spend with the ADT Security the more you will realize that it is going to save you and your family a lot of stress. This is just one of the many reasons I love this system. I was not at home, but from what I can tell the ADT Security home alarm system saved my house from a break in. I cannot be happier about the level of performance this system has given me. 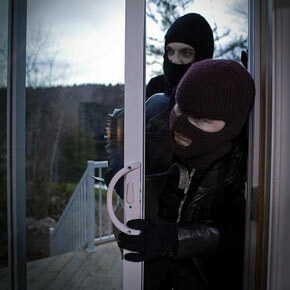 If you are like many people, you realize that a home security system is a must. This may be something you have shied away from in the past, but you don’t want to do so any longer. The world is a dangerous place, and you need to make sure your home is protected at all times. Enter the ADT Security. This system is one of the best, thanks to all of the features and the fact that many others have fallen in love with it. If nothing else, give it a try so you can realize just what it can do for you. Have you given any time to researching the ins and outs of the ADT Security home security system? This is one of the best on the market, and not just because it is the one that I installed in my home. There are a lot of things about the ADT Security that make it a great choice, including the price. Not to mention the fact that it was easy to install, which is something I was truly concerned with. Even though you may not purchase this model, you have to compare it to others to see what you have been missing out on. 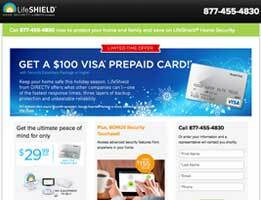 Has the time come for you to install a home security system? If the answer is yes, you don’t want to make the same mistakes as me. It took me three years to purchase a home security system, and along the way I had quite a few scares. The good thing is that I eventually made a decision that would transform my home into a safer place for me and my family. The ADT Security should get all the credit, because this system ins truly one of the best on the market. I did not know what to buy at first, but a bit of research pointed me in this direction. When you have the ADT Security you know you are going to feel good when you sleep at night. It is one of the top systems on the market, and is used by a lot of people in my neighborhood. There is not denying the fact that you will find others, but this one is the one that you should really be thinking about. It has served me well over the last few months, and could do the same for you if you give it the chance. 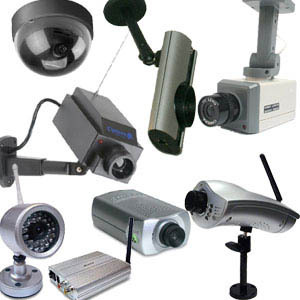 There is a lot to read about when researching home security systems. 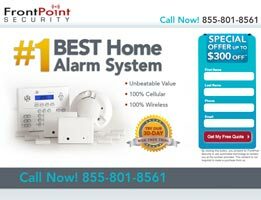 I thought it would be easy to choose the right alarm system for our home, but it took time and ADT Security was a company that stuck out because they offer wireless home security cameras. That really grabbed my attention and I thought it would be ideal for our house because of our detached garage. I wanted to put a camera on the side door of the house that leads to the garage and the front of the garage itself. Setup was simple and ADT Security knows how to keep customers happy. My daughters both moved to LA within a year and are now living together. Because we are renting that apartment and one girl travels to New York regularly for work, we decided to look for home security systems. Let me tell you there are a lot of options out there and I wasn’t initially impressed with the idea of wireless home security systems but ADT Security’s setup is very easy. 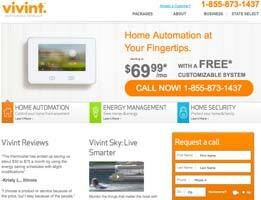 Their home security systems allow you to customize the experience, making them as hi-tech or as basic as you like. For us the hi-tech version works because it means we can check on the property when the girls are always with our tablets or phones. I can also check on my daughter when she get home from late night shoots by herself because the other one is out of town. I think ADT Security is probably the easiest alarm to work and I am considering getting one for our home when the contract with our current alarm provider is up. That’s the other thing with ADT Security: no contracts! This isn’t a company that nickels and dimes you in an attempt to make a buck. They are honest with their prices up front and delivery was very fast so the cameras were up by the end of the week. Our daughter is only six months old and my wife is staying with her. You can imagine the major scare we had when someone tried to get into our house from the side door. It was while they were home alone and that is terrifying to think about, but that’s what made me run to get a home security system. I did research for only a day or two because I wanted something in our home ASAP and I ordered ADT. Setup was fast and I am glad this is the system we went with. It is affordable and well made. I like the different motion sensors which I’ve placed around the house based on the recommendations that come with the instructions. If you follow this, it becomes even easier to set up ADT. I have tested this system from the main console and it worked perfectly. I cannot see anyone having any problems with ADT as long as they read the directions. The live chat feature is wonderful if you have a quick question and can’t get to the phone. We feel a lot safer knowing ADT will sound if someone tries to get in the house again. Lucky for us, the dogs went crazy and scared off the intruder but I think ADT reinforces the safety around here.